The Tithof brothers, Carson (L) and Jared (R) are all smiles next to the harvest of pheasants. 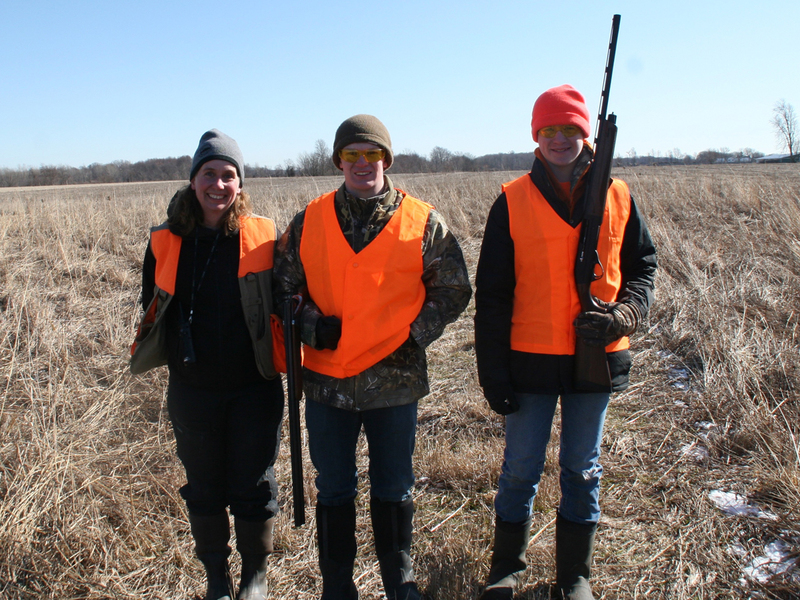 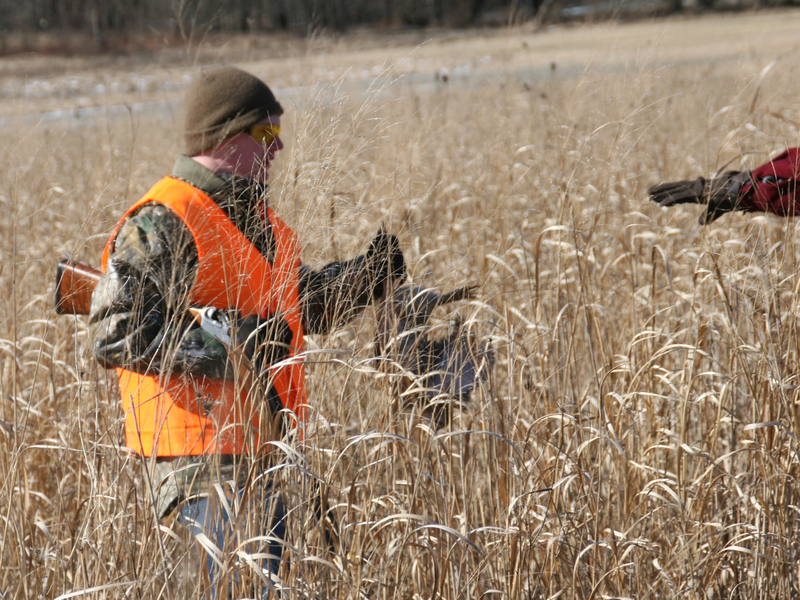 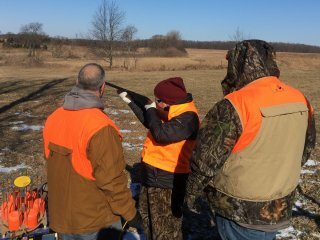 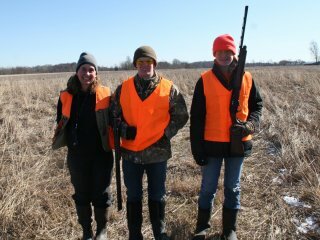 Dr. Sarah Shull guides a pair of youth hunters during SCI Michigan Chapter's inaugural youth pheasant hunt. 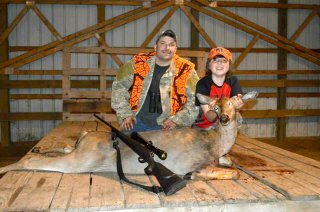 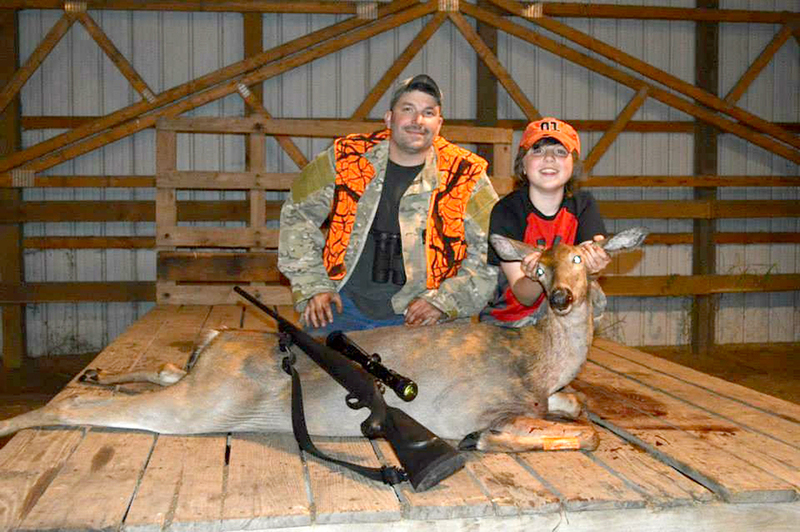 12 year old Andrew Koning was with Board Member Jay Platz during youth season and was able to take this large doe just before the end of the hunt. 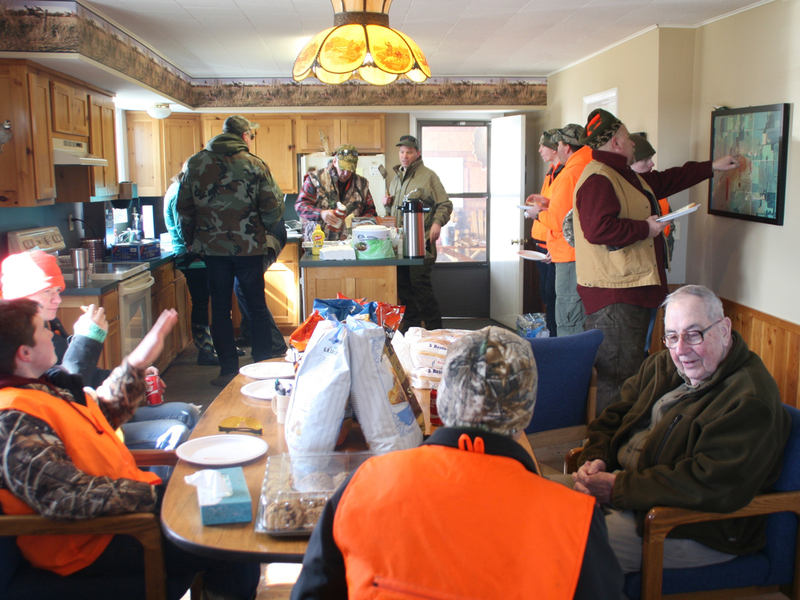 Youth hunters and their families find warmth and nourishment inside the clubhouse at Pine Hill Sportsman's Club on a bone-chilling day in March. 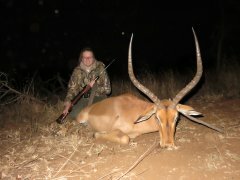 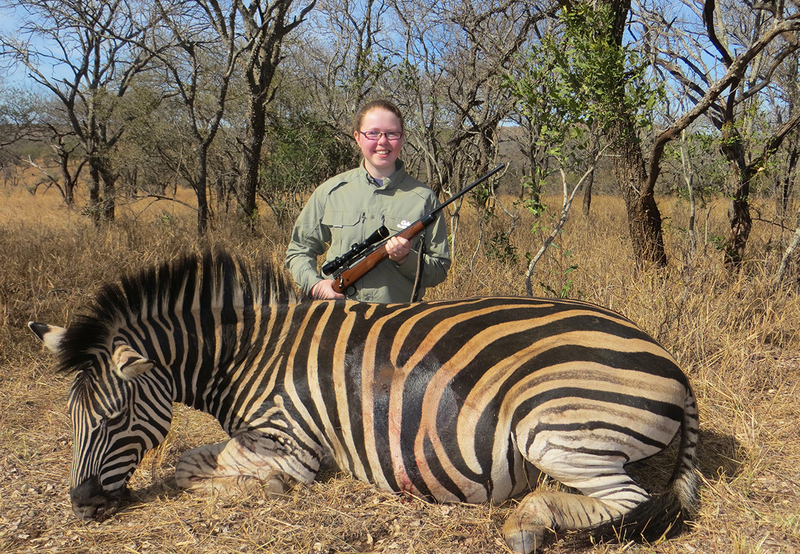 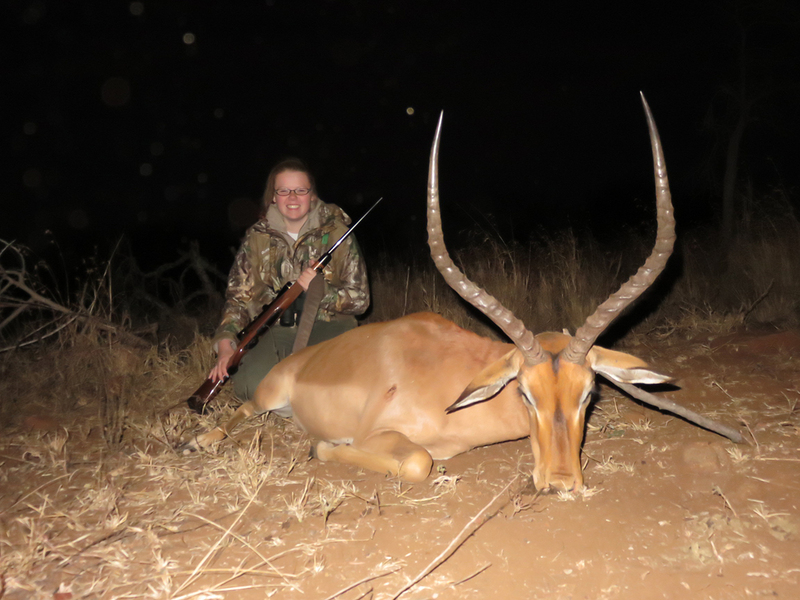 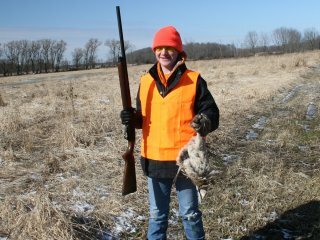 A youth hunter is smiling from ear to ear after his successful shot! Harley Cook sharpens her shooting skills on the trap range. 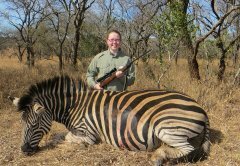 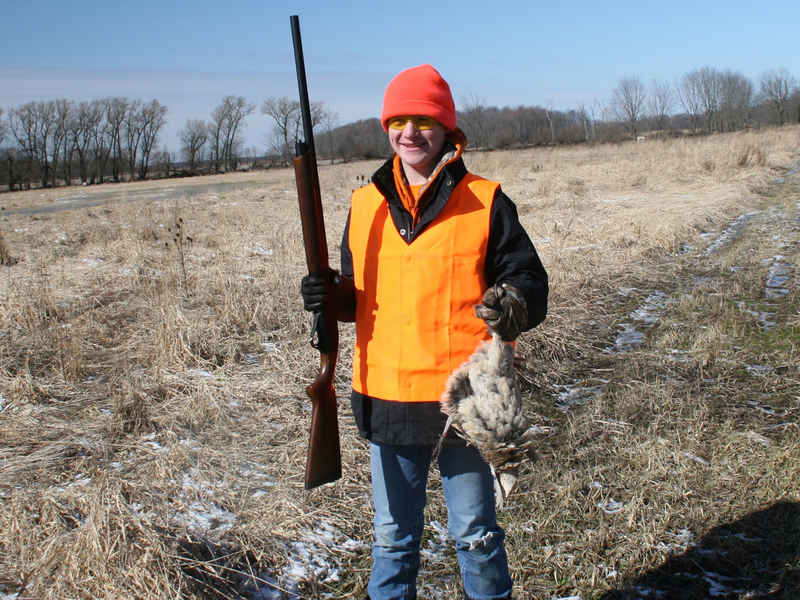 A youth hunter gathers his bounty. Youth hunters gather round Mr. Scott Brosier from Pine Hill Sportsman's Club to get instructions on safe and proper firearm handling. 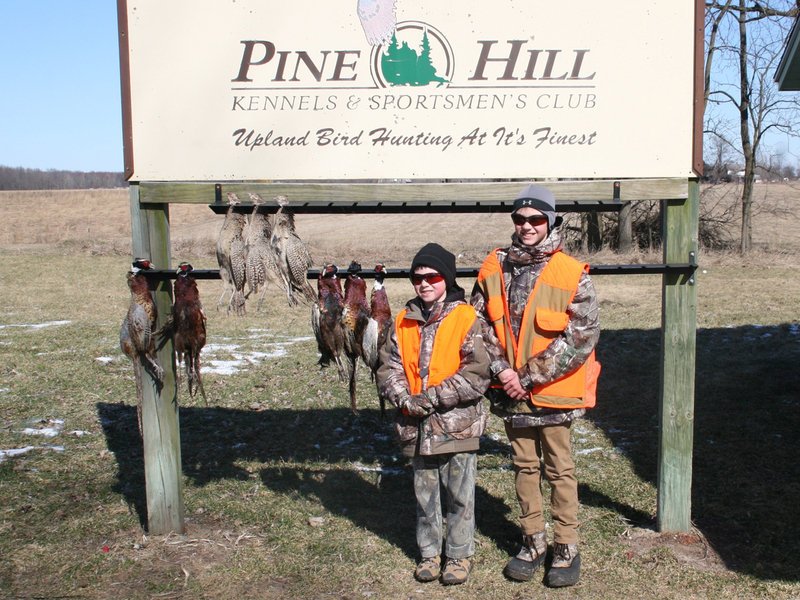 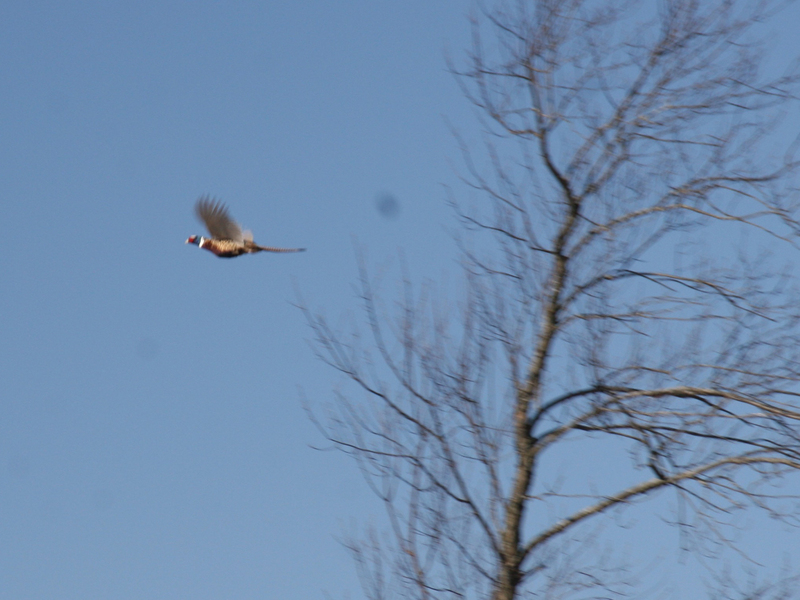 Conditions were perfect for the youth hunt; chilly with a cloudless sky. 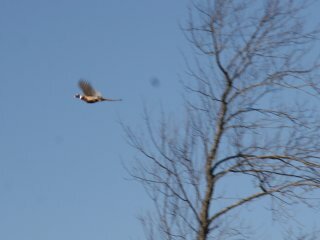 This pheasant was lucky! 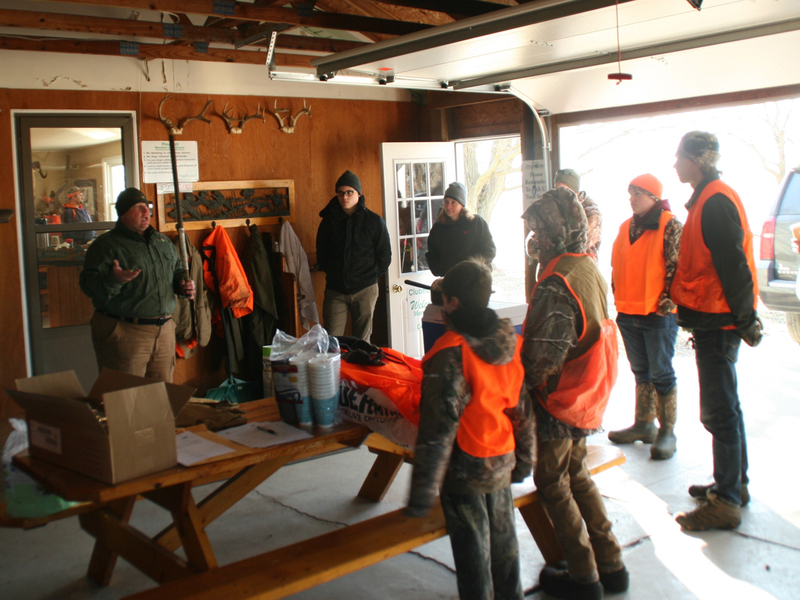 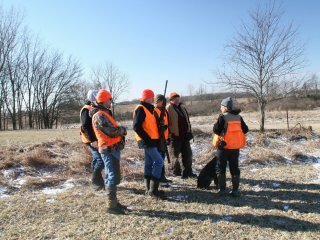 A group of youth hunters prepares to go afield in search of pheasants with guide Dr. Sarah Shull and her dog Rhino. 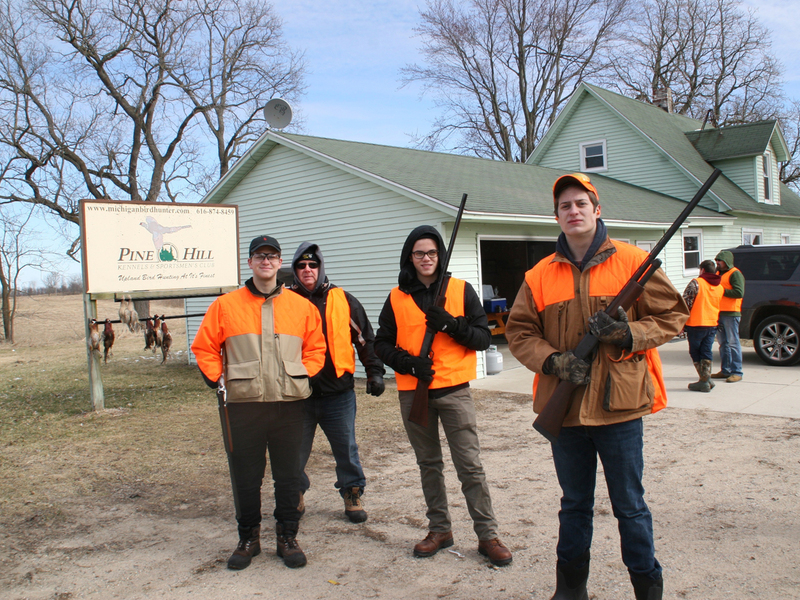 A group of youth hunters are all business in preparing to go afield for pheasants.